Mirrors. One of my favorite decorating accessories. 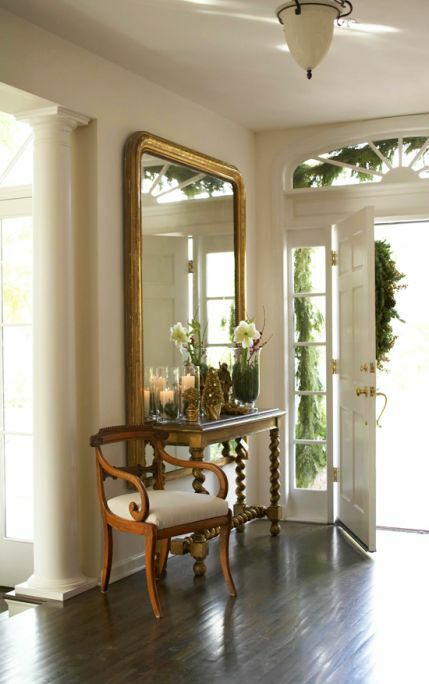 As shown in this beautiful room by the ever talented North Shore Nest is a gilt Louis Philippe mirror. Perfectly placed and in its own simplicity the mirror still allows the stunning wallpaper to reflect and shine. The Louis Philippe Mirror dates as far back as the early 1800s. The name is derived from King of France, Louis Philippe , who reigned from 1830 to 1848. The soft lines and lack of decoration make it the perfect transitional mirror. From modern to traditional and everything in between, this mirror is a wise investment. If you keep your eye out at Chairish or eBay you can find some wonderful reproductions. 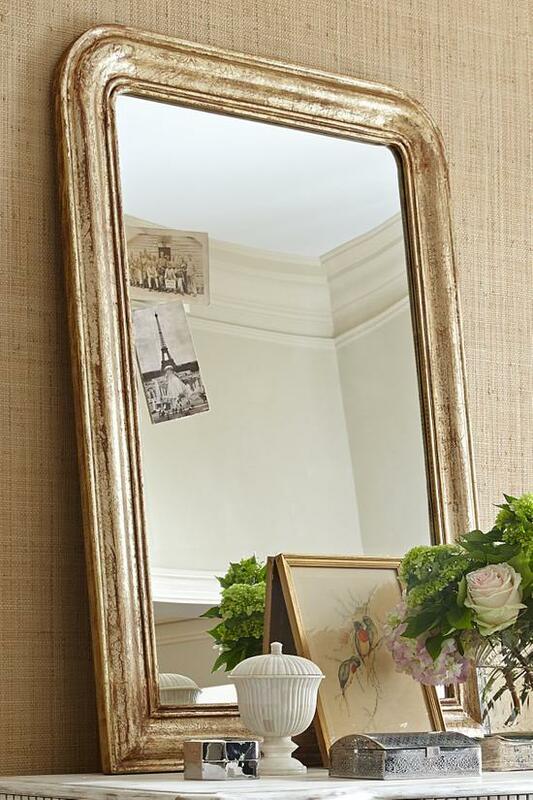 An original Louis Philippe Mirror would be quite expensive and so rare that it would be near impossible to find. It is safe to say you would be purchasing an antique reproduction. Yet the price might make you feel as if you just purchased a true original. The Louis Philippe mirror has been around for so long that even the reproductions are considered "antique". It should be noted, stores like Pottery Barn and other affordable websites have caught on to this go to style mirror and these days you can find a pretty good reproduction (of the reproduction)! I love this one below found on Bellacor. Its about $300 and often times coupons pop up for additional 15% off. Perfect size and weighs around 26lbs making it quite easy to move around. This one from Soft Surroundings is extremely affordable at around $150. Loving the finish on it!